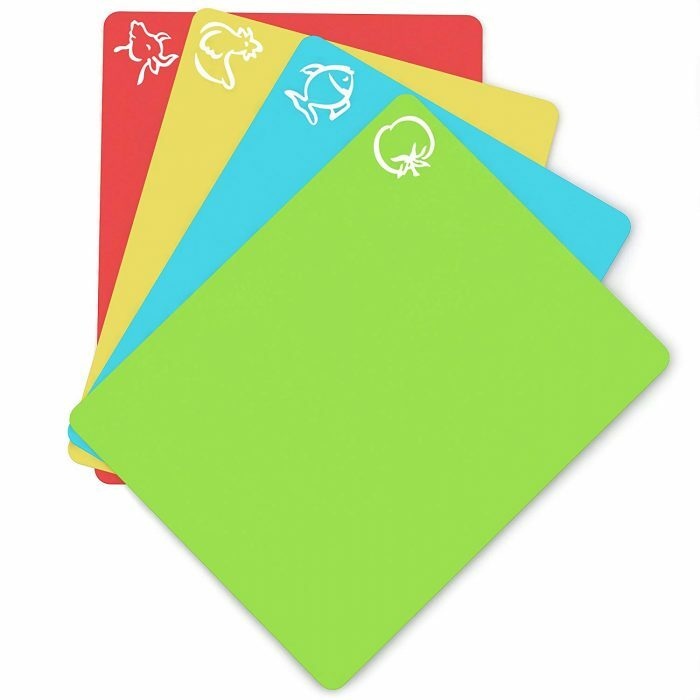 Extra Thick Flexible Plastic Cutting Board Mats (4 pack) only $6.24! Amazon has these Extra Thick Flexible Plastic Cutting Board Mats (4 pack) for only $6.24 when you clip the $5 off e-coupon and use the promo code AUGUSTVIP at checkout! These highly rated mats are BPA free and dishwasher safe. Plus, they are color coded for different food groups to help prevent cross-contamination. « Annie’s Bunny Shape Pasta & Yummy Cheese Macaroni & Cheese (12 pack) only $8.30 shipped!